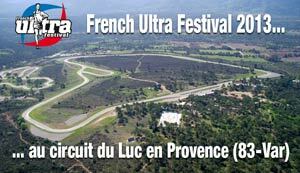 Some details have been posted on the French Ultra Festival website concerning the new venue for the 2013 event. Beautiful images on the site show Luc en Provence as the place to be 7th of May 2013 and already there are 118 riders signed up for this classic race. The 6 Day Race in Hungary 2013 has new sponsors which will help the event in Balatonfured continue to grow into a world class event. 26 runners are already signed up including the Finnish Spartathlon master, Seppo Leinonen. South African’s Eric Wright and Ric Marini are also on the start list. So far the only date set for 2013 is the Hungarian event. The Self-Transcendence 6 day in New York traditionally gets confirmation of its date in December but the race usually takes place around the last week of April. The Athens Ultra Festival will probably be taking place in a new venue in 2013 but we are awaiting word on that from Costas. Lets hope he finds a venue with a kitchen. And a cook. Gary Cross, RD of the almost subterranean Arizona 6 Day race sounds like he will be hosting the 6 day again in Douglas and there were will be more details on that later in the year. The inaugural South African Running Festival is drawing in the some of the usual suspects including 6 day race addict Mikka Backstrom from Finland who appears to sign up to any thing with the words 6 day race in the title. There are also rumours of a 6 day race taking place in the UK in August of 2013 but apparently the organizers are awaiting details of the venue to be finalized and news will be out by the end of August. The event, which will possibly take place near Oxford, has a website though there is nothing there yet but it would be great if the British Ultra Fest were to finally take place.